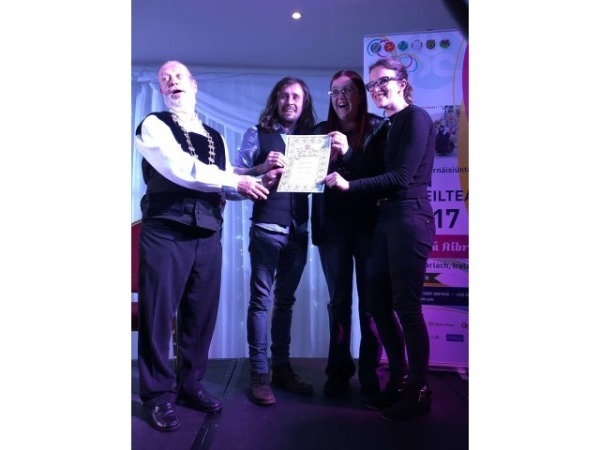 Thanks to the encouragement and financial support from organisations such as Culture Vannin and IOM Arts Council, the Manx traditional music scene is flourishing and attracting new, young talent. Opportunities to showcase this high musical standard internationally, and in particular to the other Celtic nations, must be taken. The Island has achieved a high reputation and has to make every effort to sustain it. Matt Creer's Band is an example of this standard, winning the New Song in Traditional Style in the 2017 Pan-Celtic Festival competitions with their song 'Yn Boayl Shoh' (These Walls).